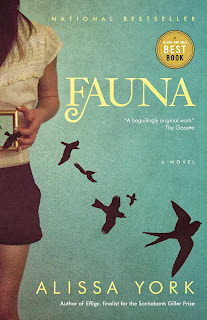 Alissa York, the author of this year’s pick for One BookNova Scotia, will be giving a free reading from her novel Fauna on Wednesday, October 2nd at 7:00 p.m. at the Kentville Library. 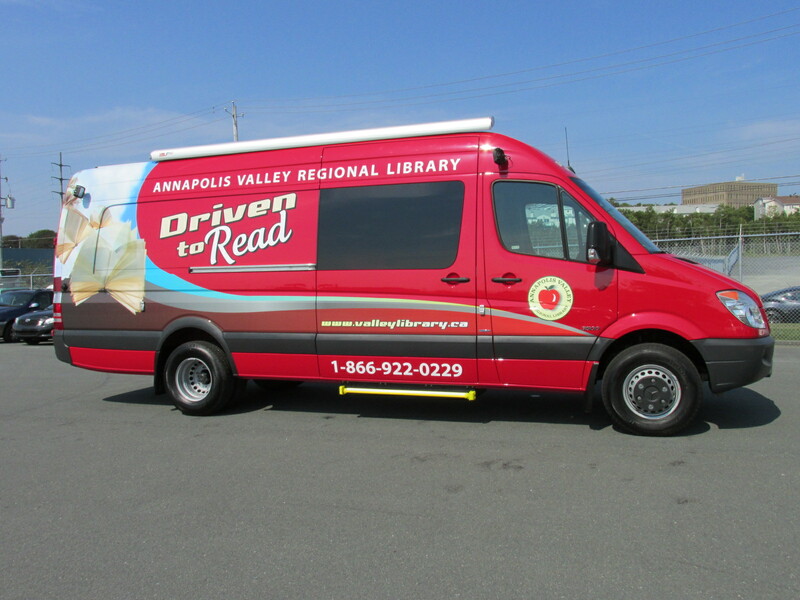 One Book Nova Scotia is a province-wide community reading event for adults in which everyone is encouraged to read the same book and share the same story. York’s novel Fauna examines the complex relationships that humans have with animals – the ones we fear, the ones we love, and those we hate. Animals can be our friends, our enemies, or even our saviours. In cities and in the country all over the world people strive to coexist with animal life, sometimes successfully and sometimes not. Alissa York will be touring Nova Scotia from October 2-10 with twelve readings from Kentville to Sydney sponsored by the Canada Council for the Arts. All public, community college and university libraries have multiple copies of Fauna to loan, and the ebook is available for download through the public libraries. The visually impaired can borrow the audiobook version through the CNIB, and the novel is also available en Francaise. Bookstores are also promoting Fauna and Mitzi from Box of Delights in Wolfville will be coming to the Kentville Library reading so you can purchase a copy that night and have it signed by the author. So why not come out to the Kentville Library on Wednesday night and be a part of Nova Scotia’s province-wide community reading event! Pregnancy & Childbirth Resource Kits are now available for loan from the Annapolis Valley Regional Library. Request them at any of our libraries, or place your hold online. The six kits have been provided by Valley Families for Midwifery with support from the Community Health Boards of the Annapolis Valley. We are so pleased to be partners in this initiative! Additional titles on this subject have been purchased by Valley Families for Midwifery as part of the project, and we are grateful to make them part of the library’s collection. Please search the library catalogue or ask staff for assistance. We are now entering our third year of offering eBooks and downloadable audiobooks. Over these few years the collection has grown to over 3,700 unique eBook titles and over 1,300 downloadable audiobook titles. When the level of demand for a particular title is high, another copy is purchased. Currently there are over 5,900 copies in the collection. We subscribe to this service from OverDrive, which can be accessed directly here . Some recent changes to the site included the addition of a new service called OverDrive READ (this works best in Google Chrome). Just over 3,000 of the 3,700 eBook titles are in this new format. 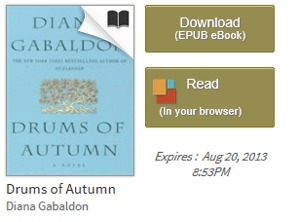 After you borrow the title you are able to click on the Read button next to the cover, the book then opens in your browser. The title will function in your browser similarly to an eReader. Bookmark where you stop reading then you can pick up where you left off, on any device you choose. To do this go into your account and click on the Read button from whatever device you wish to continue reading on. There is also an option to read off-line. Oh, I shouldn’t forget to mention “samples”. Now you can click on most covers of our books to get a sample of the audiobook or eBook. There's a StoryMob happening in Wolfville tomorrow! On Saturday, September 7, at 11 AM, We'll be doing a StoryMob with Green Eggs and Ham at the Wolfville Market. We will meet on the patio outside the Wolfville Library at 10:15 AM to get ourselves organized and to make sure all our readers are in attendance. Then we will walk over and read the book together! The list of readers is here. If you've signed up to be a reader, please meet at the library patio by 10:15. If you didn't sign up to read, you are still encouraged to come join the StoryMob - meet us at 10:15 to practise or to grab a prop. We'll have a few extra props in case you don't have time to prepare. Bring your children, too, so they can get in on the fun and be ready to celebrate Green Eggs and Ham! You are encouraged to make your own props if you like—as easy as bringing along a box or a picture of a house, dressing up in green, or wearing a Seuss-like hat. Props and actions and more details can be found on our webpage. It is sure to be a rollicking fun time, so come see it even if you aren't participating. Bring a copy of the book if you have one, and just come along for the fun of celebrating reading! This just in from our partners in Toronto who created StoryMobs (and where they will be doing a StoryMob tomorrow as well!) - Last minute StoryMob prop tips: Bring a train whistle for the train section. Bring a horn for the car section. Dress all in green. Dress in the colours of the illustrations (red, yellow, green, blue, pink). Bring any fun noise-maker you have and choose a place to use it in the story. Bring a cardboard box...easiest costume ever! Or just bring a copy of the book...the most logical prop of all! Arthritis can strike anyone at anytime so this is definitely not just a factor of aging and for our own benefit we should make sure we try to stay informed on what is a growing concern for all Canadians. For more information on the types mentioned and other forms of this condition the Arthritis Society of Nova Scotia has a very good site featuring the latest in research, webcasts, patient education and an "Ask an Expert" blog hosted by a doctor with 30 years experience in Rheumatology. Using your library card you can also access our Health and Wellness and Cochrane Library databases for information on conditions and research. The library also has several titles on the subject of arthritis that are available for checkout.